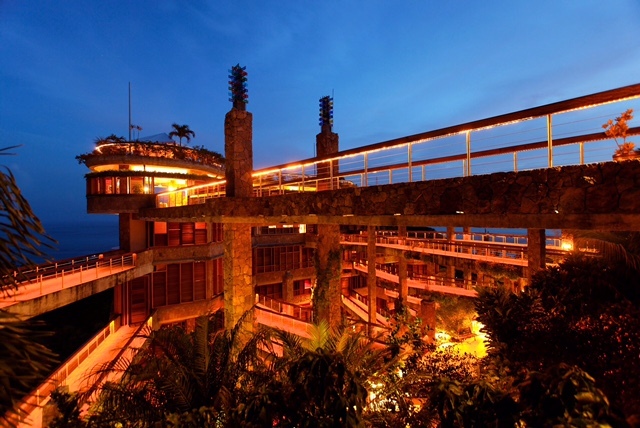 Our rollercoaster-comme-taxi delivered us in one piece each, to Architect Nick Troubetzkoy’s Anse Chastanet and Jade Mountain. 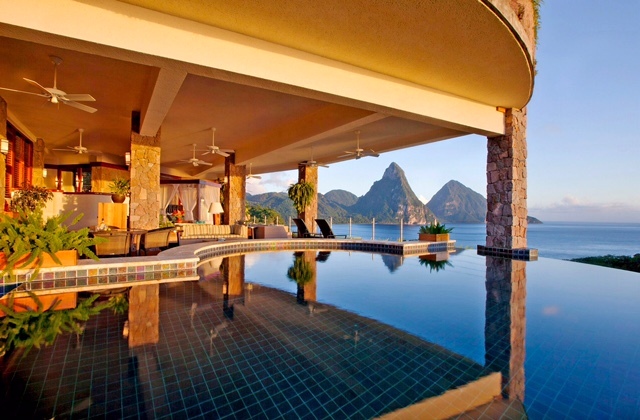 They are set amidst a 600 acre lush tropical estate with two soft sand beaches, 8000ft of Caribbean coastline and breathtaking views of St. Lucia’s twin Piton mountains rising out of the calm Caribbean Sea. 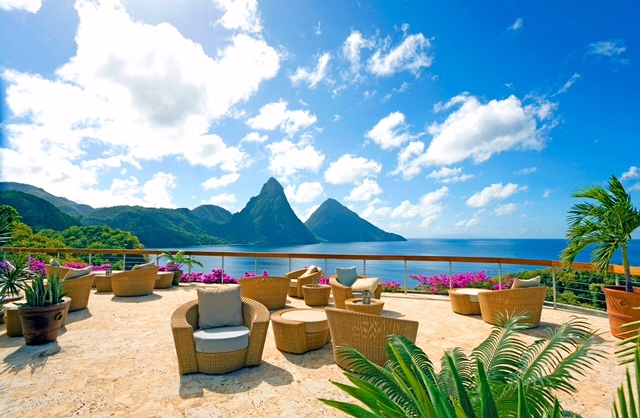 In fact, here is the only resort on the island which affords you a view of both pitons, if one mammoth mountain-view in the morning isn’t enough to give you vertigo. As we took a seat at the main bar, the tranquillity of the place sunk in. I was almost certain I could hear birds chirping, Cinderella-style, and the wind chiming. This may also have been resultant of my use of the mint-infused cooling towels to nurse my forehead (and face in general.) Georgia, in a noble attempt to move, nudged me suddenly from her seat: “Jo, I think the bartender was at the local’s bar yesterday.” Horrified that this may be true, I ignored her suspicions. Moments later, a male voice stood over me: “Miss, may I offer you a mint-infused welcome drink?” Lifting my mint-green, mint-scented hand towel from over my eyes to peer up at the angel offering me any form of rehydration, our eyes locked. 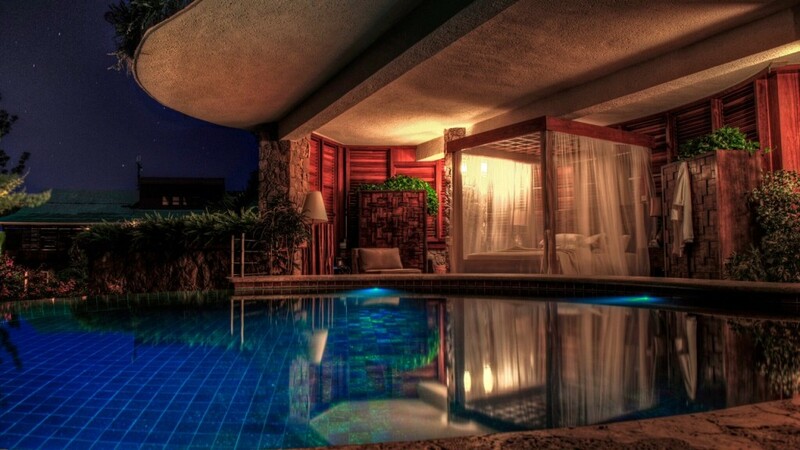 With the prior night’s memories instantly reflected in his amused expression, I shuddered in embarrassment, reached for my drink, and retreated into anonymity beneath my towel. 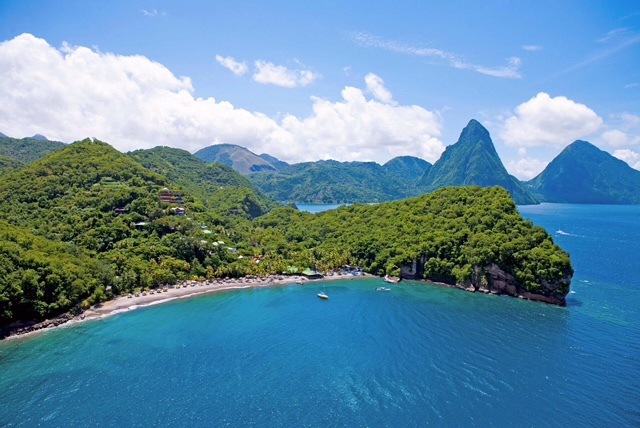 After a seamless check-in and quick tour of Anse Chastanet’s rooms, beach, restaurants, and facilities, we were led quite literally onwards and upwards to where the real magic happens: to Jade Mountain. 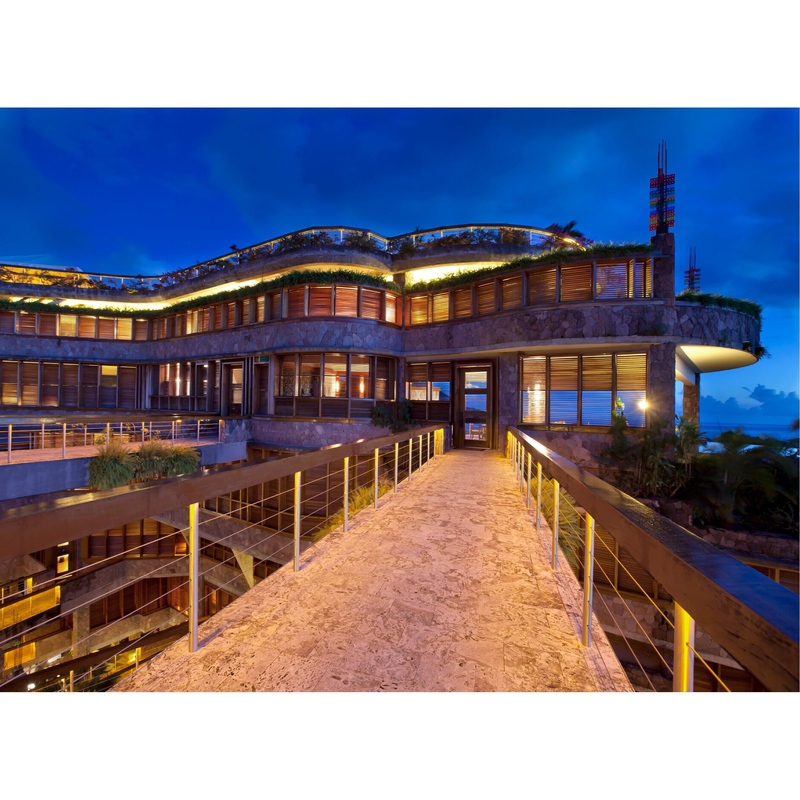 It is built above Anse Chastanet and as we gladly endured muscle-failure climbing several flights of steps to reach it, something quite spectacular emerged. No longer Cinderella, we felt like Rapunzel to her tower. 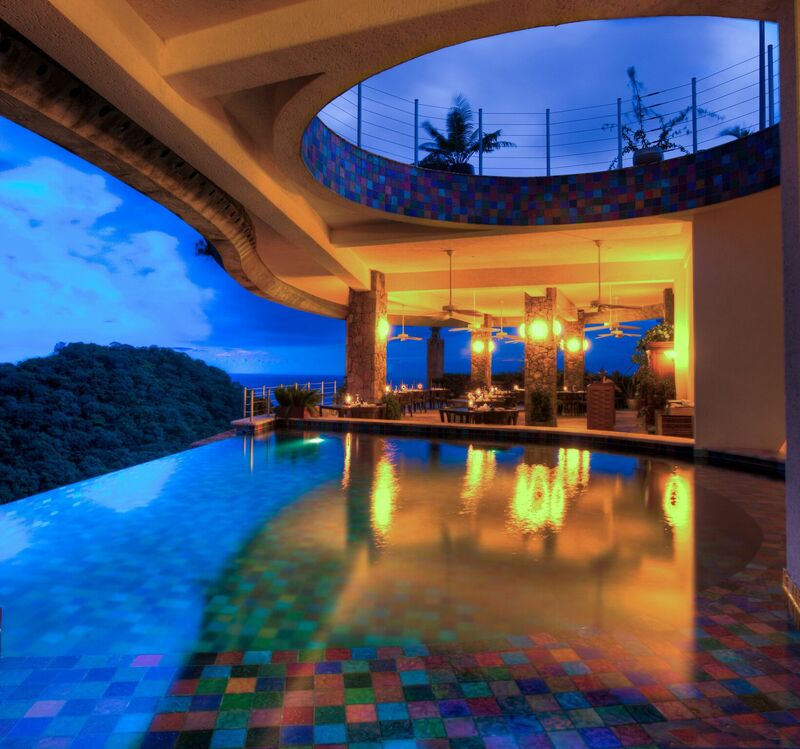 The suites at Jade Mountain are all open air in that they only have 3 walls; the fourth wall is your open view. Starting at the top, each suite cascades in a tiled manner beneath the other and as we stood on one of the footbridges in the centre of it all, in the middle of the air, taking in the earthy colours of the architecture around us, I felt as though I had jumped into a mesmerising maze of a video game. 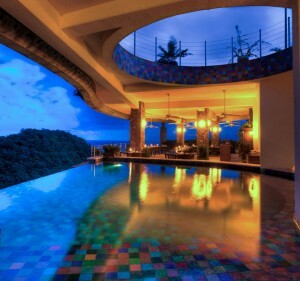 The entire resort was built by workmen from the local community of Soufriere and it is a wonder to behold. 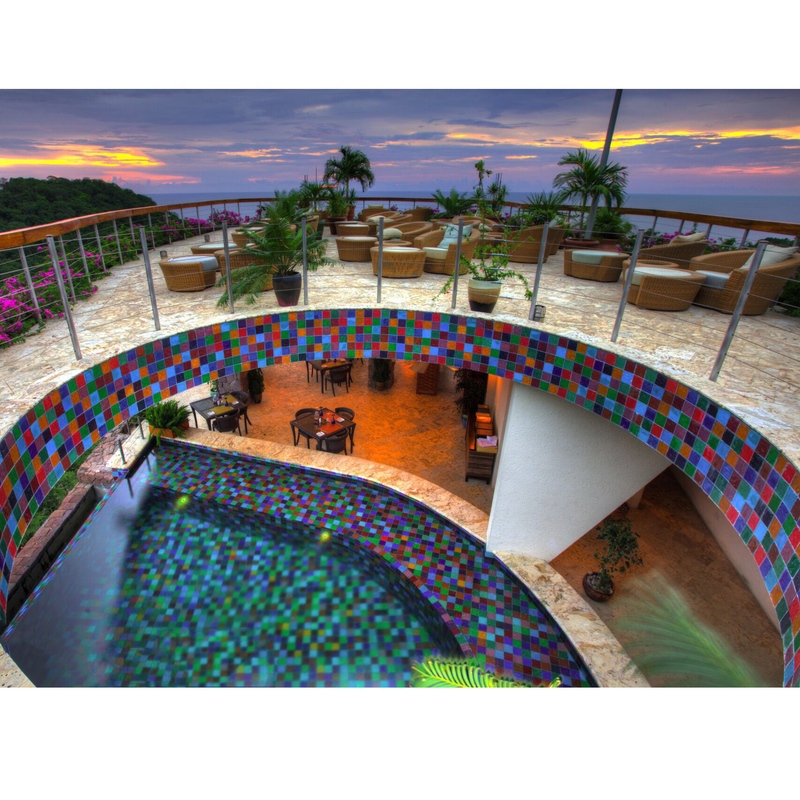 As we were led to our suite, which Jade have named ‘sanctuaries’ I was reminded of the welcome notes describing the ‘sweeping spaces beyond our imagination’ as the bedroom, living area, and extravagant infinity pool, glide into one another to form an amazing platform floating in space, with, I must repeat, no fourth wall. The result is what they describe as an open stage-like setting from which to embrace the full glory and infinite views of St Lucia’s twin pitons and the shimmering Caribbean Sea. There was something very transcendent to standing on our ‘stage’ staring out at the sky, the mountains and the sea, and feeling the open air push back against me (presumably warning me to step back, as that is ALL I would find out there). 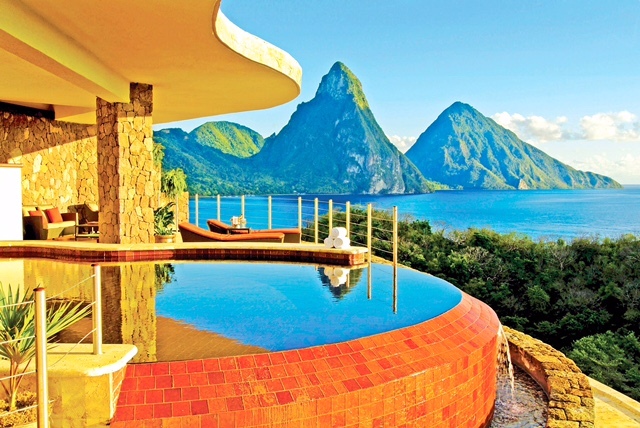 Each of the infinity pool sanctuaries at Jade Mountain are unique in layout and shape, with no formal separation between your bed, bathroom, living space and pool, which all flow into one another. As idyllic as it was, our host smiling knowingly behind us, presumably no stranger to the awed gasps his guests take upon entering their sanctuaries, one thing suddenly snapped me into reality: “So, since there’s no wall, and my bed is over here” I said, pointing to it “what if a falcon swoops into my pool at night?” Raucous laughter erupted around me, but with my question unanswered, I slept with ears perked and one eye open that night. Our wonderful host, Jonathan, the Jade Mountain manager organised a sweeping array of activities for us over the next two days, and let me tell you, there is no shortage of fun and frolics at Jade, despite its serene and soothing setting. 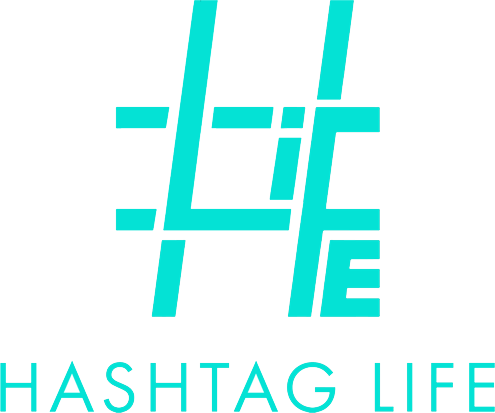 With far too much to list I can only summarise that which you absolutely must pack into your stay at Anse Chastanet and Jade Mountain, and the few things which you may wish to save for another day. 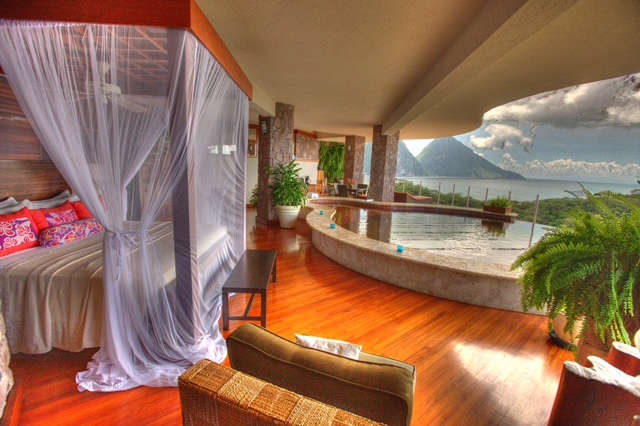 Do book your stay at Jade Mountain over Anse Chastanet. 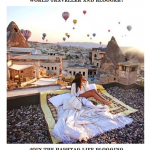 Although this comes at a higher cost, the difference in price is not as steep as the level of wonder, luxury, and once-in-a-lifetime surroundings you will experience. 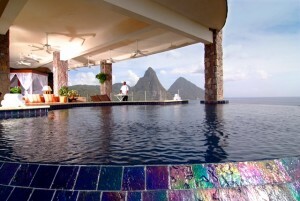 Do dine at the Jade Mountain Restaurant, wrapped around an infinity pool with a dazzling kaleidoscope of colours, celebrating award-winning Chef Allen Susser’s “Jade Cuisine.” Do not arrive so exhausted that you are snoozing into your second course, or missing the beautiful acoustic St Lucian singer. Do take advantage of the extensive wine-list. At such a prestigious venue, we expected, like many a resort on its neighbouring islands, that the price-tags on their alcohol would set us back ten-fold on the rates of their ‘all inclusive’ package. 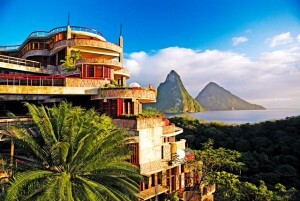 Not at Anse Chastanet and Jade Mountain – the magic words “you can have as many glasses as you like, but if you order a bottle you will be charged” echoed like a fairy godmother’s warnings should the clock strike twelve. The concept is brilliant, and affords you a taste of not all, but a wide selection of wines by the glass, to be paired excellently by brilliant sommelier Harvey as you dine. Do try our attested-to “world’s best burger” at the Jungle Beach Bar & Grill on the second beach of Anse Mamin. 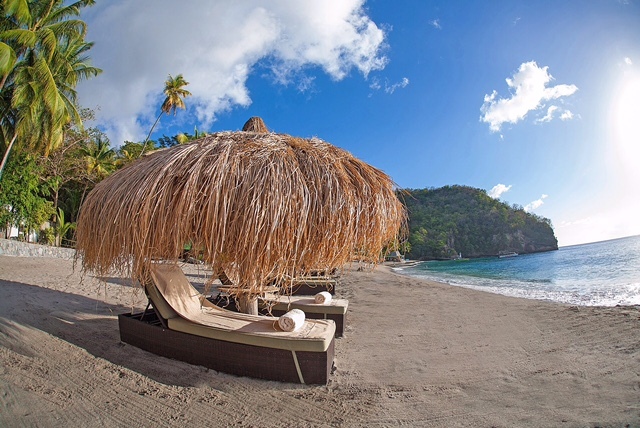 Do discover the second beach, as it is practically secluded, with hammocks galore, and has even cameoed as a proposal-site on the television series The Bachelor. I won’t even take the credit for your discovery. Do visit the Treehouse Restaurant which consists of two treehouse open air structures, with beautiful views of the ocean and surrounding hills, and the Piton Lounge and Bar which plays lively, soul-infusing music each evening. Do ensure that unlike yours truly, you can ride a bike, and allow the very, very easy on the eye Tyson to take you on a mountain-bike adventure through their hiking trails. Do take advantage of their kayaking facilities on both beaches, as well as the half day and sunset sailing excursions on the resort yacht ‘Serenity’. Don’t do anything stupid that might be classed an emergency, as there are no phones (or technology) in your rooms, to report them. Whilst of course there are phone-points within short walks from each of the rooms, the idea is to maintain a strictly techno-free space. As I am here typing this today, I am proud to say, I survived. Don’t spend the first two days stressing as I did, as to how you are supposed to use the very exposed bathroom. After questioning my companion each and every time (and nigh on making her ‘stand outside the sanctuary please, whilst I go to the bathroom’), I have been assured that you cannot be seen on the loo, from anywhere else in the open-plan room. Don’t leave a banana on your bedside table. Unless you wish to discover that tiny birds have flown into your wall-less room to peck at it in the middle of the night. Don’t then throw it in a panic, into the open-air outside your sanctuary, only to realise that you’ve probably just thrown a half mauled banana into a guest’s infinity pool beneath you. 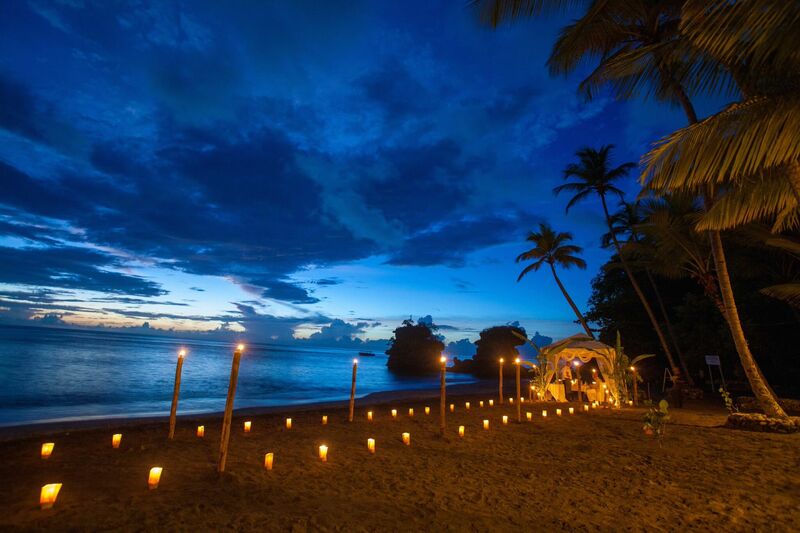 Do visit as we have been so privileged to have experienced Anse Chastanet’s magical offering, do return as we fully plan to, and quite simply: do plan your retirement here.